Sebastian Vettel and Ferrari were left scratching their heads over their lack of pace in Sunday’s Australian GP which left the driver down in fourth place. Starting Sunday’s grand prix from third on the grid, Vettel had hoped to challenge the Mercedes drivers but it was not to be. Trailing Lewis Hamilton by four seconds, Ferrari pitted the German early allowing him to reduce the gap to Hamilton to two seconds. That, though, was as close as it would get. 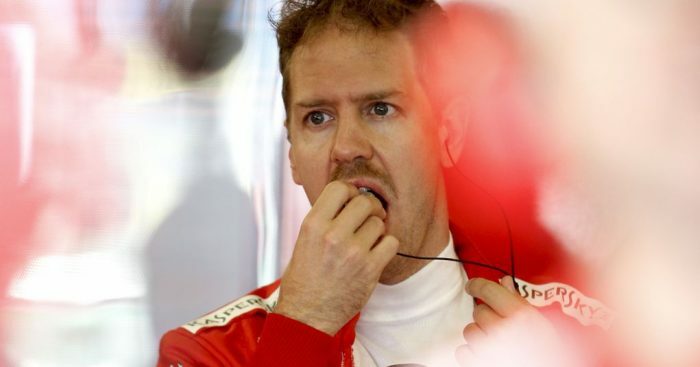 Vettel struggled on his second set of tyres, the mediums, and began losing ground to the Mercedes drivers before also losing out to Max Verstappen. The Dutchman, on tyres that were 10 laps fresher, easily took the final podium position off Vettel. Confused about his lack of pace, Vettel told Ferrari “nothing left to these tyres, absolutely nothing” as he completed the 58 laps. He later explained: “I guess we were just slow. “I didn’t have much chance to fight anyone; just a case of getting to the end. Vettel finished the grand prix 57 seconds behind race winner, Valtteri Bottas.